This list is pretty relevant to me. I’ve moved a whole bunch in the last five-ish years, so I have friends all over, and more often than not find myself missing a lot of people real bad. 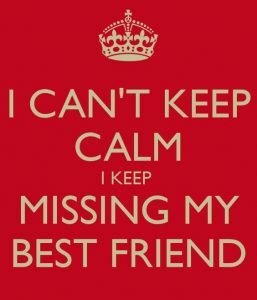 So I’m sort of an expert on telling my friends, in detail, why and how I miss them. 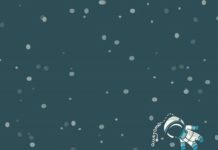 If you need a way to tell your friend you miss them or why the distance doesn’t change your friendship, here are 35 quotes and messages to pass along. 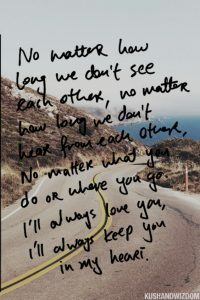 1No matter how long we don’t see each other, no matter how long we don’t hear from each other, no matter what you do or where you go, I’ll always love you, I’ll always keep you in my heart. How could a real friend ever leave your heart anyway? You think of them every time you laugh or want to talk about that weird thing that just occurred to you, every time you’re up or down, too. 2Happiness is knowing I am going to see you soon. 3A best friend may not talk to you every day. 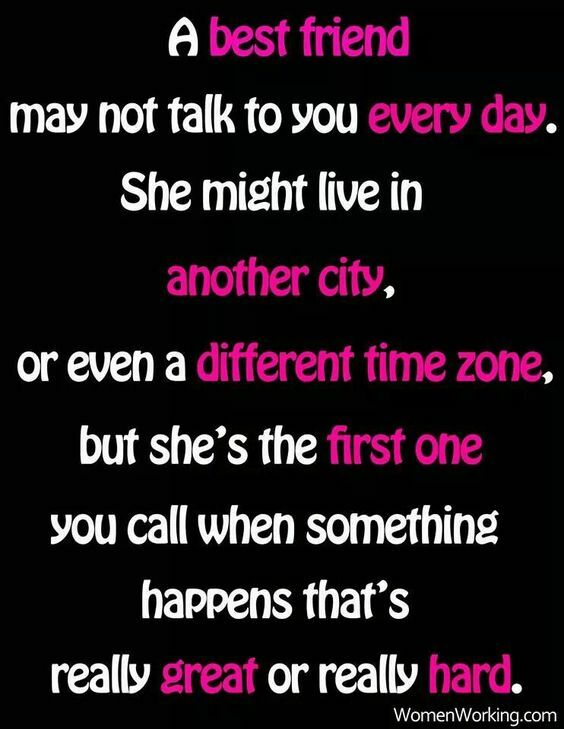 She might live in another city, or even a different time zone, but she’s the first one you call when something happens that’s really great or really hard. 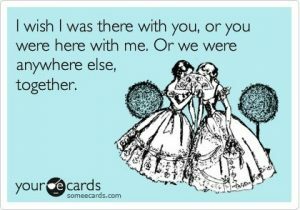 My bestie is a dude, but yes. We only get to hang out a few times a year, and we don’t always talk every day, but we’re there for each other however we can be when it counts (it often counts during 2AM meltdowns). 4Friendship is a promise made in the heart, unbreakable by distance, unchangeable by time. Friendship should be at least as celebrated as romantic love! 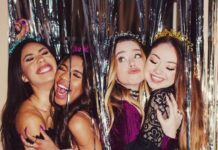 We are way better at maintaining friendships over distance and time than we are at maintaining romantic relationships under the same circumstances. 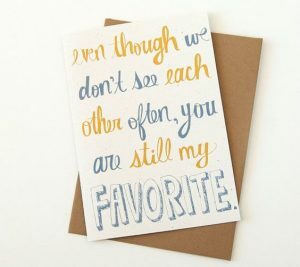 5Our small, stupid conversations mean more to me than you’ll ever know. 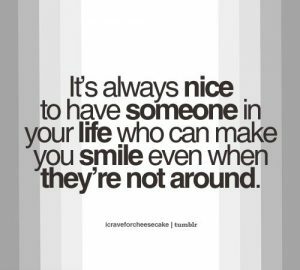 Sometimes that’s all it takes to brighten up your whole day: a silly chat with a good friend, even if you’re just texting back and forth. No matter where they are, your friends can lift your spirits any day. This became a common thing to say, I don’t know, sometime in the last few years, but lately I’ve realized that I literally miss my friends’ faces. I miss their mannerisms and expressions. I have one friend who has the most amazingly expressive eyebrows and I miss watching them move when she tells a story. It’s so specific to her and I get so happy when I think about it. 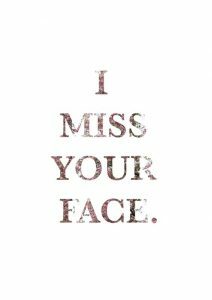 Yes, girl, I miss your face. 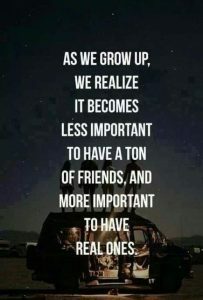 7As we grow up, we realize it becomes less important to have a ton of friends, and more important to have real ones. 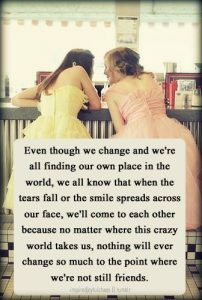 And real friends can be anywhere, and we know the good ones are worth keeping even from a world away. You can always get on Skype and have coffee together, even from different continents. 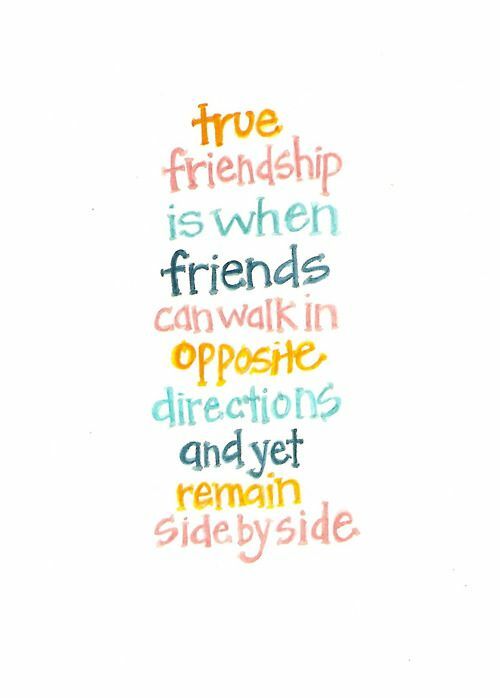 8True friendship is when friends can walk in opposite directions and yet remain side-by-side. 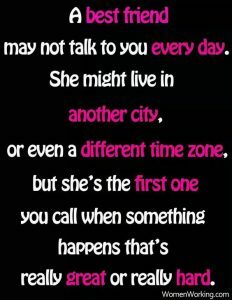 This is true for both literal and figurative distance. One of my dearest friends from college lives in Munich, while I live in the Southestern US, and I swear it’s like we saw each other just yesterday every time we talk. I worked a bunch of crazy blue collar jobs in a rural area after I graduated while many of my friends went on to get advanced degrees. And you know what? We all think what the others are doing is the coolest. 9I miss you, not the “I haven’t seen you in a while” kind of miss you, but the “I wish you were here at this very moment” kind of miss you. 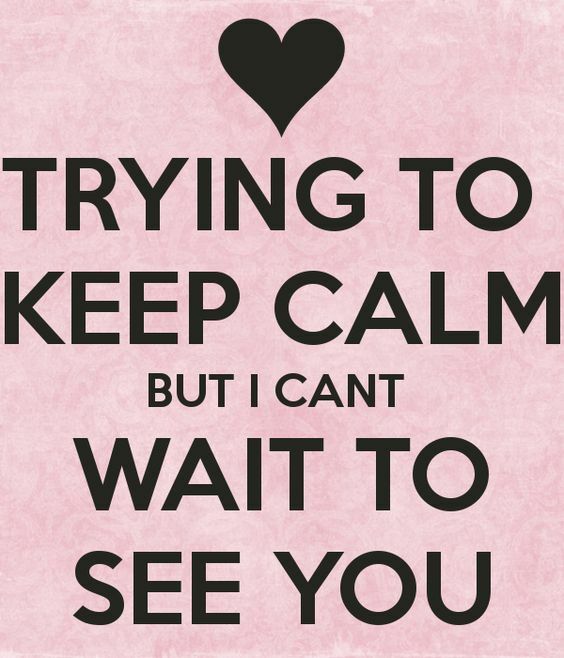 10Trying to keep calm but I can’t wait to see you. When you know you’re about to see your best friend after a long time apart, oh man. The anticipation is crazy. You don’t know how many times I’ve sprinted through an airport squee-ing like an idiot because I knew my friend was coming to get me. 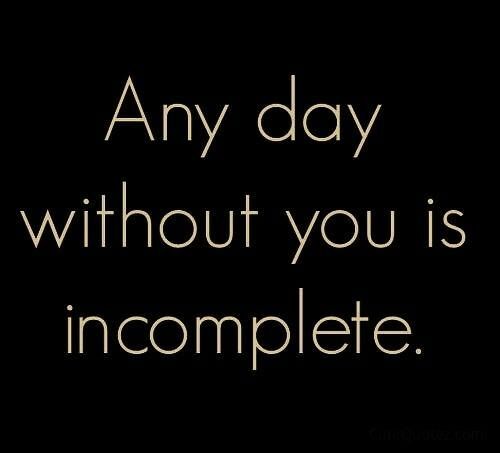 11Any day without you is incomplete. When you’re living far away from your friends, it can be easy to fall out of touch for some period of time. It just happens, and it’s nothing to be ashamed of. You’re not a bad friend if you can’t always make time to talk. 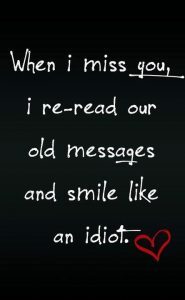 But when you do talk again, you realize how much you’d been missing your friend’s presence in your life. 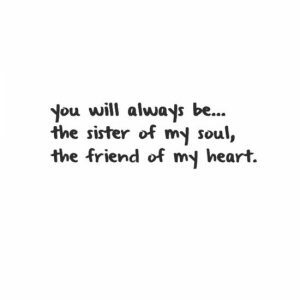 12You will always be the sister of my soul, the friend of my heart. 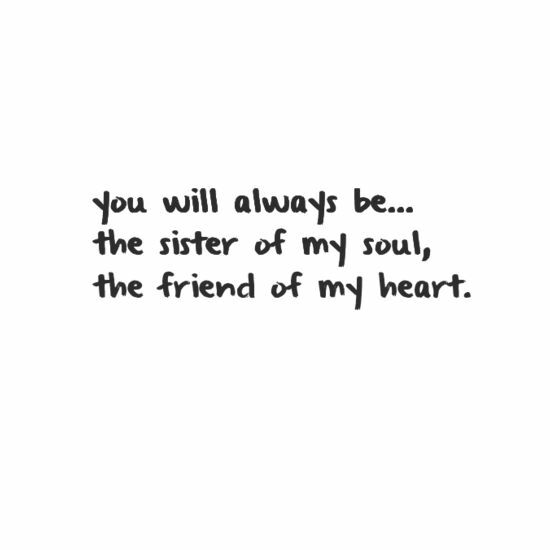 Always, no matter where she is or how long t’s been since your hearts were in the same room. That connection is much deeper and stronger than the physical. 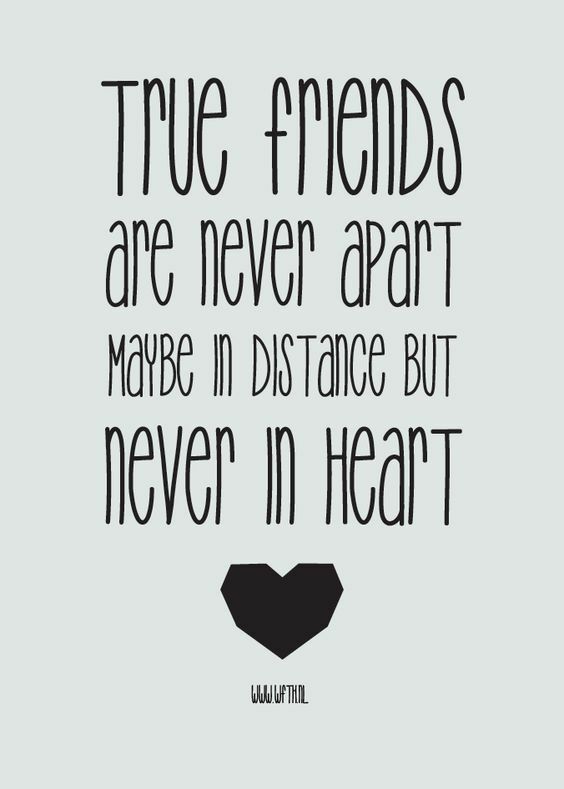 13True friends are never apart. Maybe in distance, never in heart. 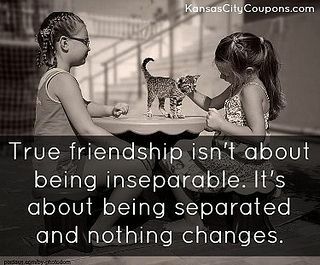 In my case, I’m usually apart from my closest friends, but the connection stays as strong as ever, year after year. 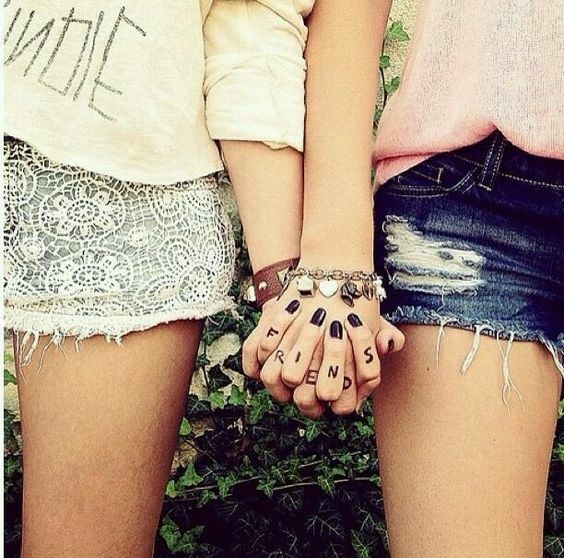 14True friendship isn’t about being inseparable. Its about being separated and nothing changes. You may not like being separated, but you know you’re both out there doing your thing, no matter what it is, no matter where it takes you. And you know what? 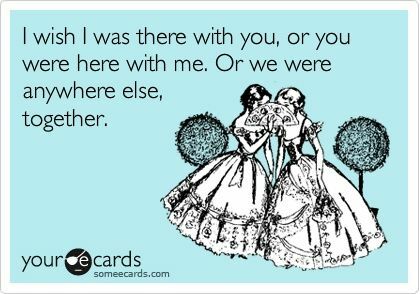 Now you’ve got tons to talk about with your friend when you get together again. 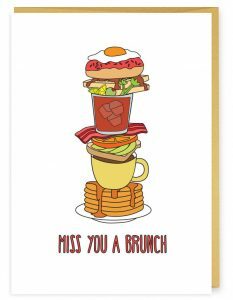 I am a shameless lover of brunch and I’m not interested in hearing about how brunch is overpriced or how the same meal could be had cheaper and faster at home blah blah blah I want to eat ALL THE DIFFERENT FOOD and drink ALL THE COFFEE AND POSSIBLY MIMOSAS with my buddies and I don’t want to lift a finger doing the dishes. 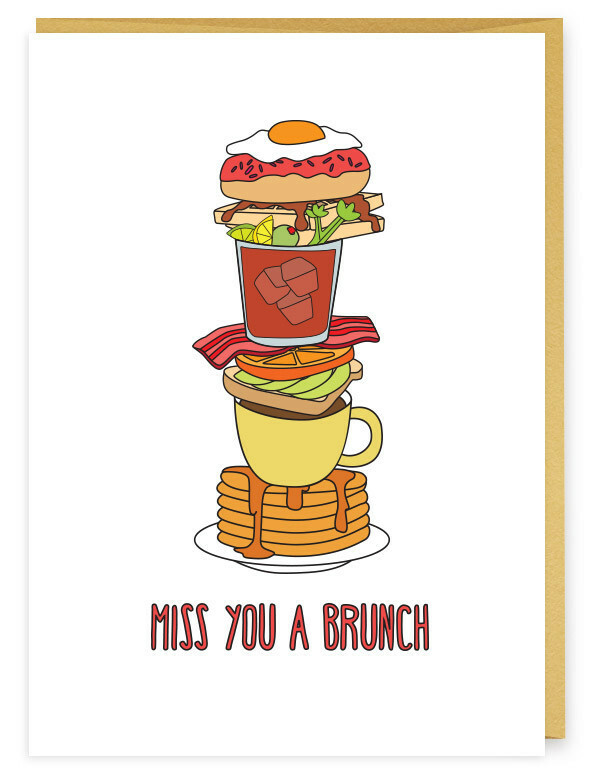 A trip to visit friends simply is not complete without a long, laughter-filled brunch. 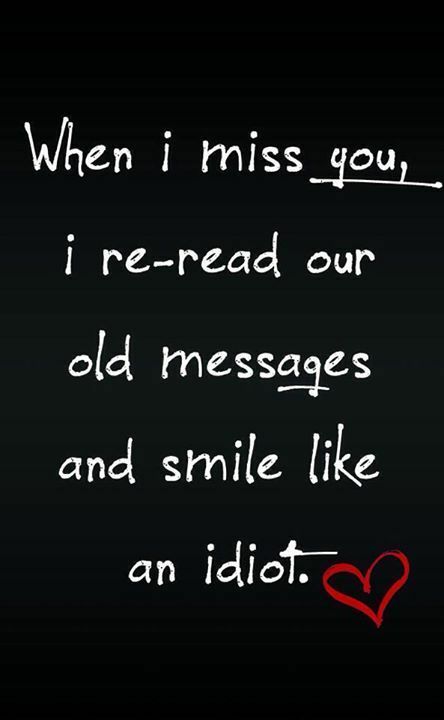 16When I miss you, I re-read our old messages and smile like an idiot. Because my friends are super funny, and I bet yours are, too. 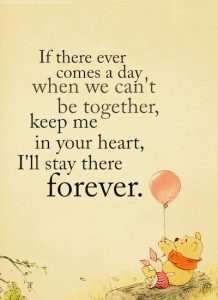 17If there ever comes a day when we can’t be together, keep me in your heart, I’ll stay there forever. 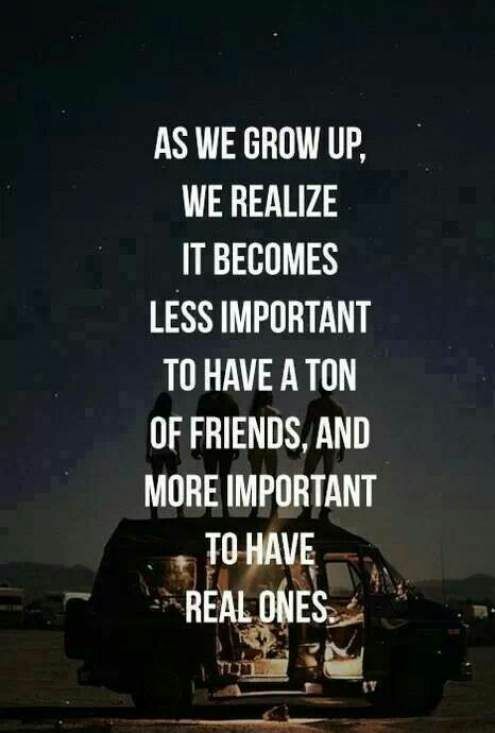 We have to keep friends in our hearts rather than in our arms a lot as we grow older. 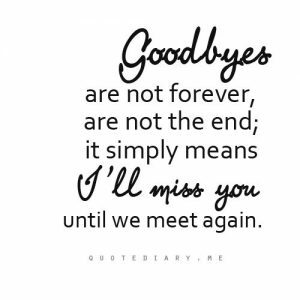 But the truth is, our hearts can hold on for a long, long time til we see them again. 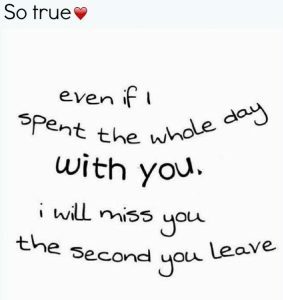 18Even if I spent the whole day with you, I will miss you the second you leave. Sometimes I go home from a night with my friends and then lay in bed, in the dark, texting them, so true story. 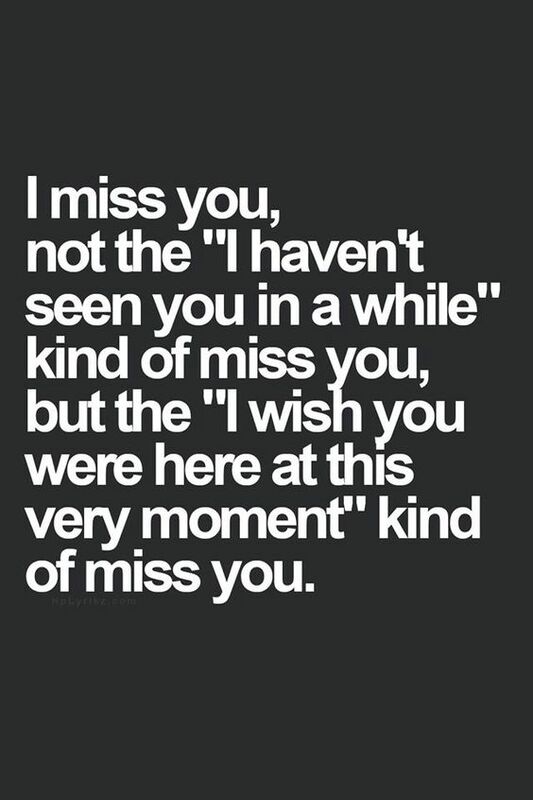 The feeling of missing them after weeks or months or longer is different, though. 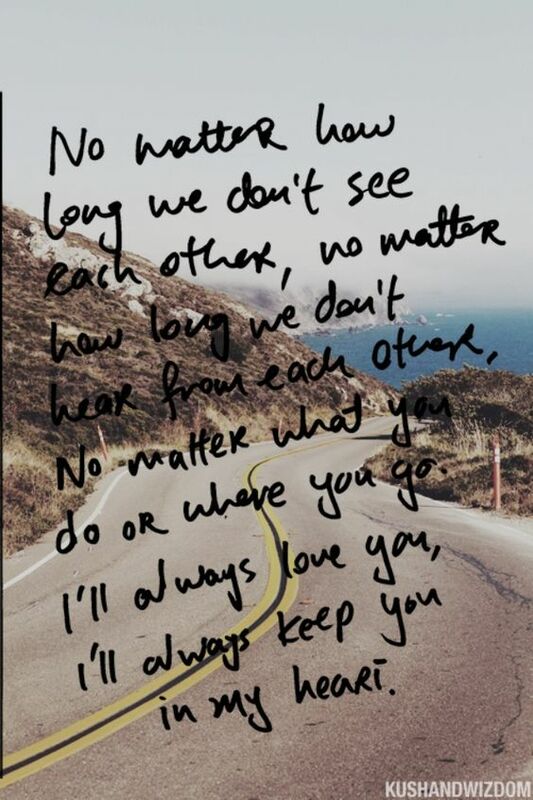 19Even though we don’t see each other often, you are still my favorite. The strength and intensity of a friendship often has nothing to do with how often you see each other. If you connect on that level, that’s it— you’re there whether you see each other all the time or not. 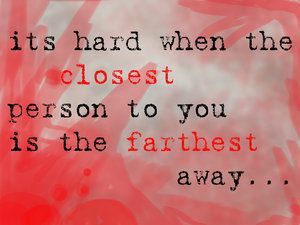 20It’s hard when the closest person to you is the farthest away. For when you’re both bummed and missing each other. Yeah, you can text and call and video chat on Skype, but sometimes there’s nothing you need more than to sit next to your friend and have a long, deep conversation about whatever’s on your mind. 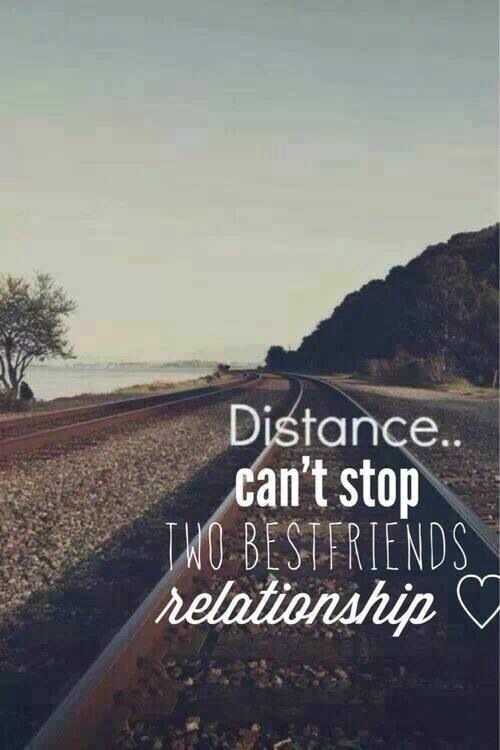 21Distance can’t stop two best friends. Sometimes distance just means your get creative with how to stay connected, which is actually more fun than ever with apps like Snapchat, Instagram, WhatsApp, and so on. And there’s always good old snail mail when you really need to make your friend feel special from afar. …A true friend is someone you may not see for years but you can still get together, eat ice cream, and put the worlds to rights like you’d never been apart. 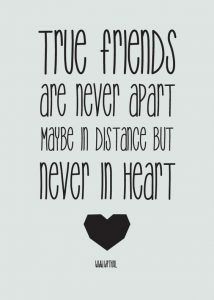 True friends’ hearts are always open for each other regardless of time absent. 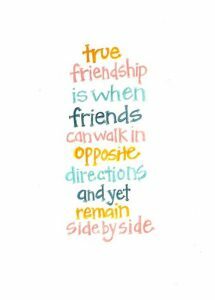 True friends see sunshine in each other’s company, even when it rains. I have gone literally years without seeing some of my friends, and when we got together again, it really did feel like nothing had changed. That’s the magic of friend-chemistry right there. 23I wish I was there with you, or you were here with me. Or we were anywhere else, together. 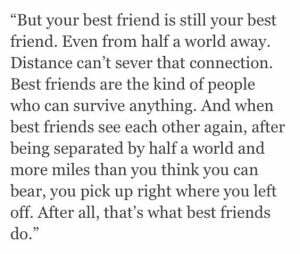 This makes me feel like me and my friends should make it a point to meet in cities where neither of us live, because one, it doesn’t matter where we are as long as we’re together, and two, getting lost would be way more fun together. 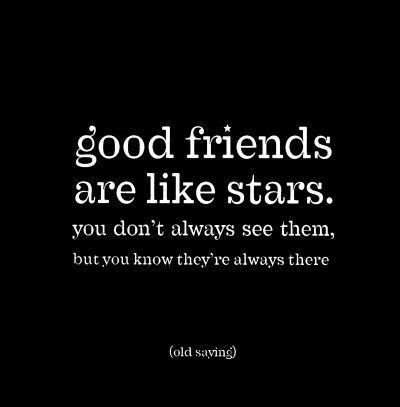 24Good friends are like stars. You don’t always see them, but you know they’re there. Because you’ve got your own lives, and sometimes they don’t mesh, but that doesn’t mean you don’t still care about each other and want to shine for each other. 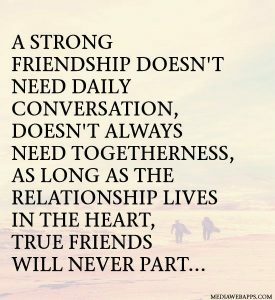 25A strong friendship doesn’t need daily conversation, doesn’t always need togetherness. 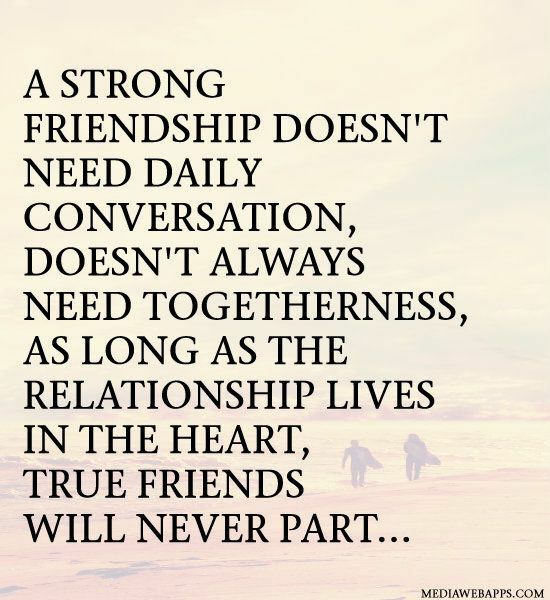 As long as the relationship lives in the heart, true friends will never part. I’m one of those people who never has enough hours in the day, so I’m glad this is true. 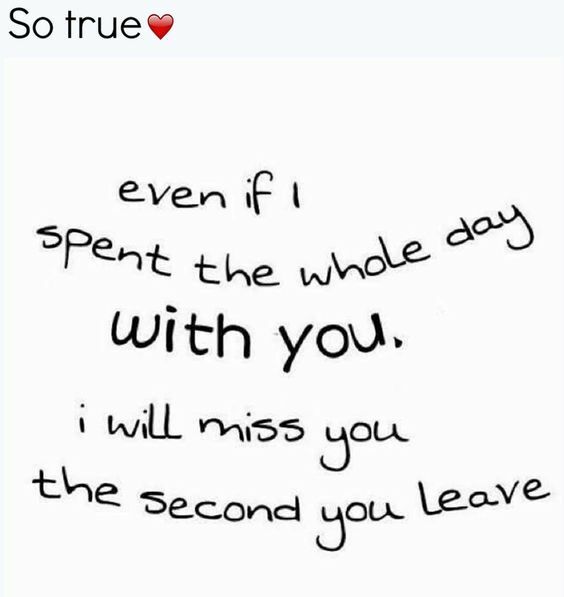 I could never find the time to talk to all my friends and tell them how much I love and miss them every day, but we talk when we can, and of course when it counts. We’re always thinking of each other and wishing each other well, then catching up when we can. …You talk like there was no gap in between and you laugh until both your stomachs hurts. 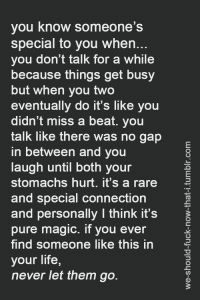 It’s a rare and special connection and personally I think it’s pure magic. If you ever find someone like this in your life, never let them go. 27Even though we change and we’re all finding our own place in the world, we all know that when the tears fall or the smile spreads across our face, we’ll come to each other because no matter where this crazy world takes us, nothing will ever change so much to the point where we’re not still friends. And you know what? 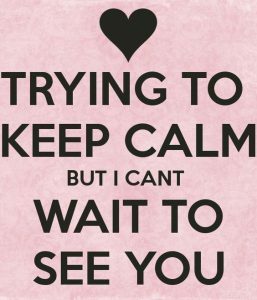 I’m so excited for my friends’ respective, very different places in the world, all the places they go and things they do, their jobs, their adventures, their travels, their awesome friends other than me, even. Everyone changes as they get older, and the things around us change, too, but not everything has to change. Friendship doesn’t have to. 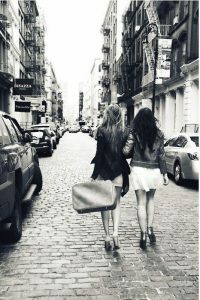 28The most beautiful discovery true friends make is that they can grow separately without growing apart. 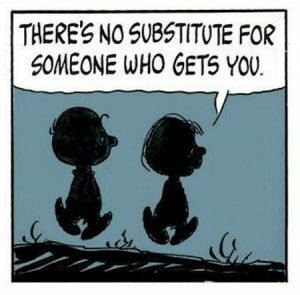 This may even mean that at certain points in your lives, you need some distance, not because you don’t love each other, but because you gotta be alone to learn certain things about yourselves. You have to learn to stand on your own. But in the back of your mind you know you’ve still got friends who are ready to embrace you with open arms when you’re done. 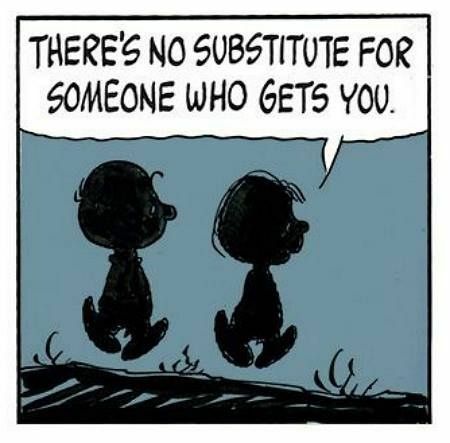 29There’s no substitute for someone who gets you. And it doesn’t matter if they live in another state, or country, or are going to be gone for a long time. They’re special to you, and someone closer and more available can’t replace that. 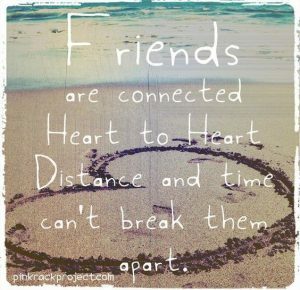 30Friends are connected heart to heart. 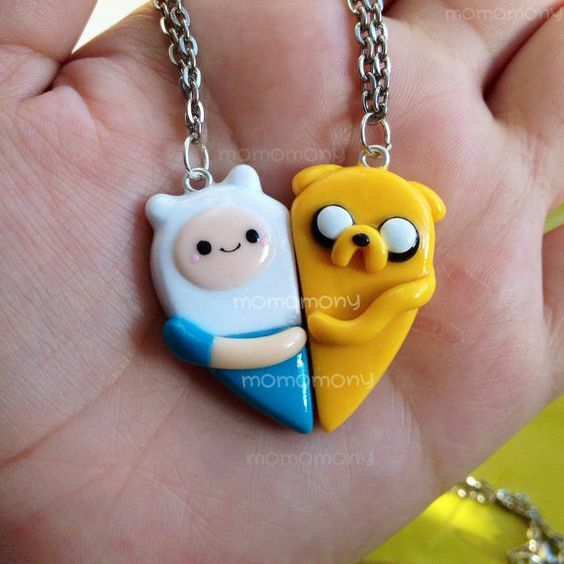 Distance and time can’t break them apart. Neither can the occasional disagreement or all-consuming romantic relationship. Friends find a way, through it all. 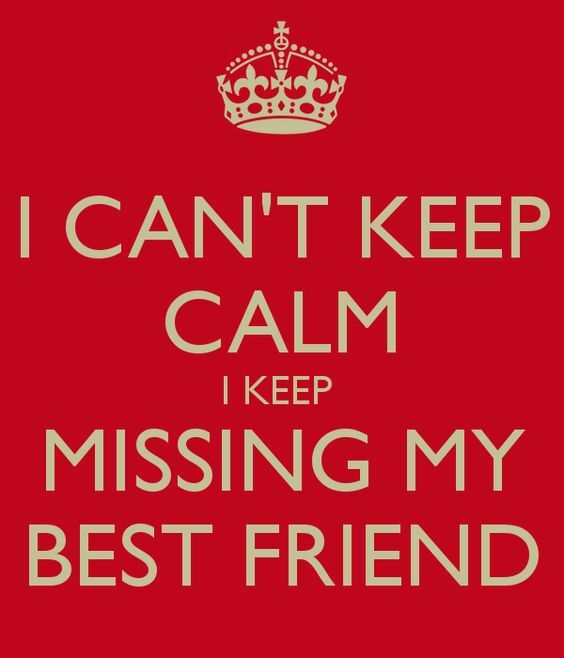 31I can’t keep calm, I keep missing my best friend. Sometimes we can be patient. Sometimes we can’t. 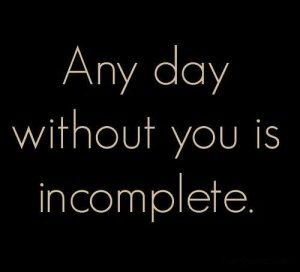 Sometimes we miss each other so much getting through the day feels impossible. 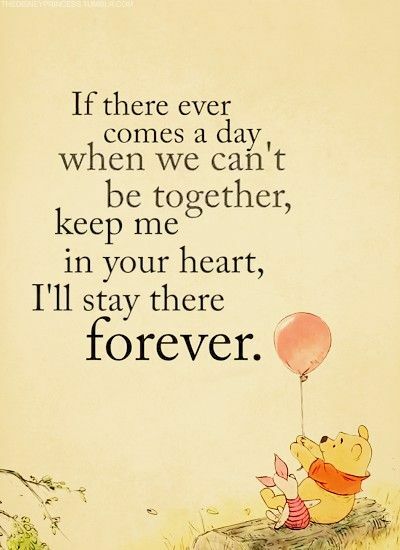 We keep wishing our bestie was there to give us a hug or talk us through something or listen or just be there. 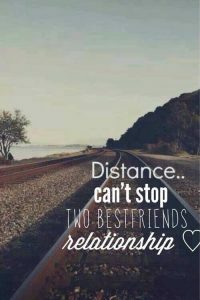 …Distance can’t sever that connection. 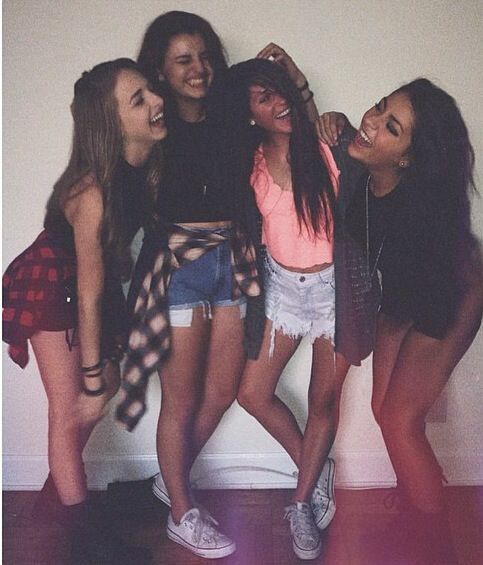 Best friends are the kind of people who can survive anything. 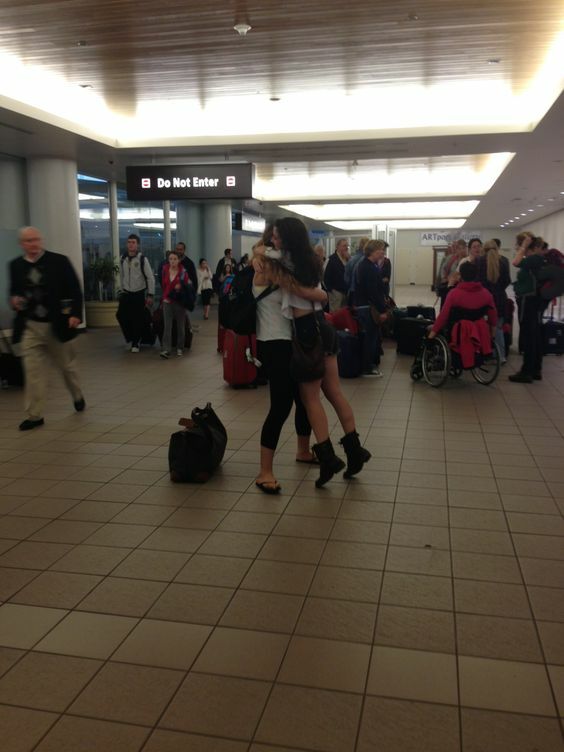 And when best friends see each other again, after being separated by half a world and more miles than you think you can bear, you pick right up where you left off. 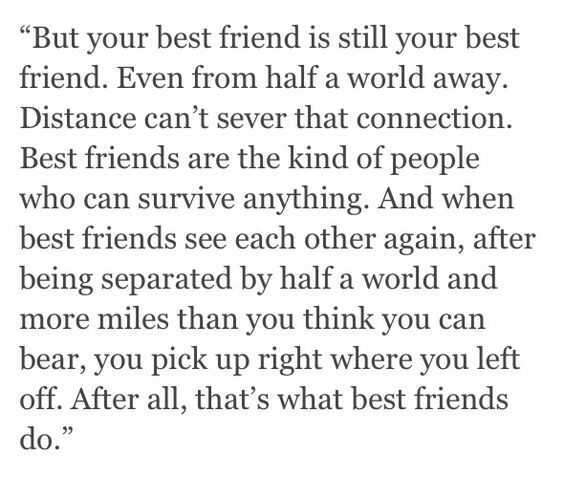 After all, that’s what best friends do. There’s a little piece of me that’s surprised almost every time I see distant friends for the first time in a long while. Even though we always pick right up where we left off, I always worry it’s not going to happen. And I’m always proven wrong. There really is a tie that binds you in special way and ensures that your friendship survives a separation of any distance and any span of time. 33Goodbyes are not forever, are not the end; it simply means I’ll miss you until we meet again. 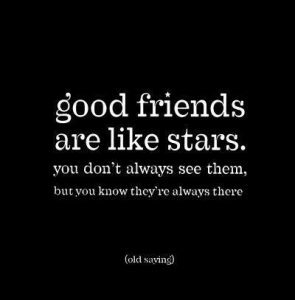 And you always know you’ll make it happen again with your true friends. 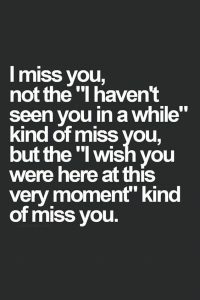 …But whenever I start feeling sad, because I miss you, I remind myself how lucky I am to have someone so special to miss. 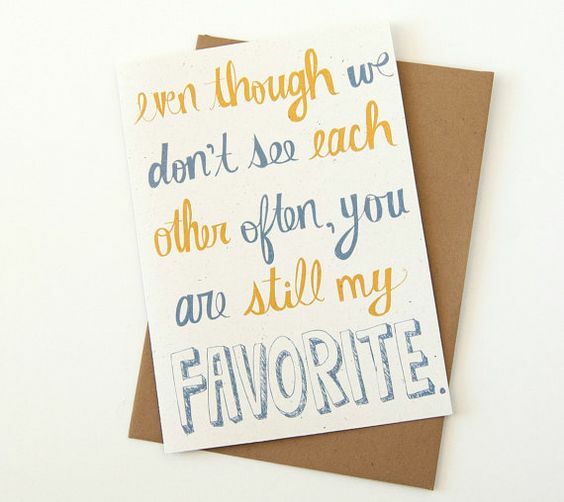 Do you ever miss your friends and find yourself gushing about them to anyone who will listen? I can’t be the only one, right? This is exactly what happens. I miss them like crazy and then I come down with serious warm fuzzies about how worth missing they are. 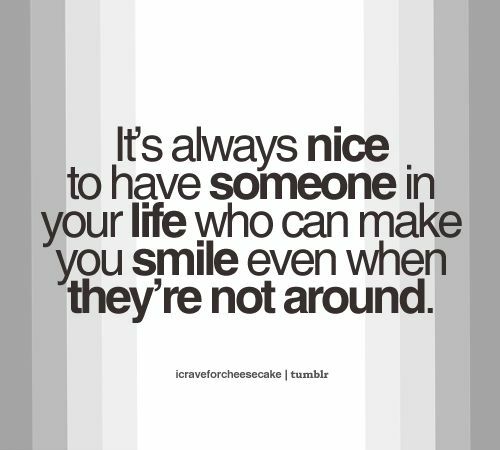 35It’s always nice to have someone who can make you smile, even when they’re not around. With just a text message or a call, your whole day can turn around, because you know your friend is thinking of you. 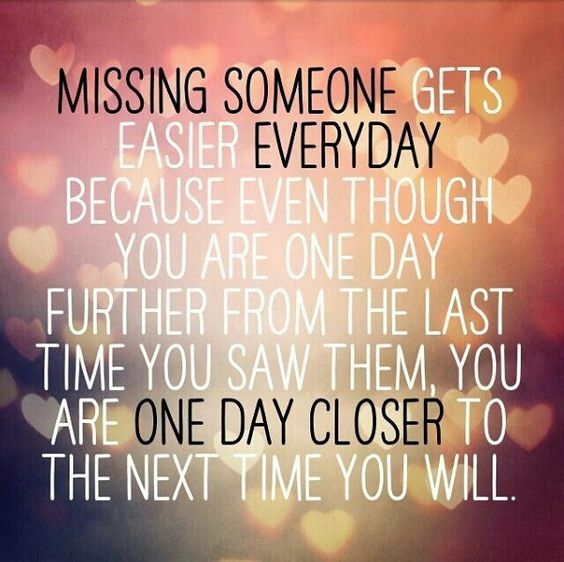 36Missing someone gets easier every day because even though you are one day further from the last time you say them, you are one day closer to the next time you will. 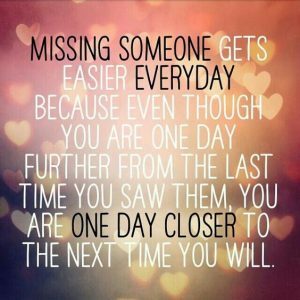 If you want to be honest about how much you miss someone but also look on the bright side, this is a great way to look ahead. 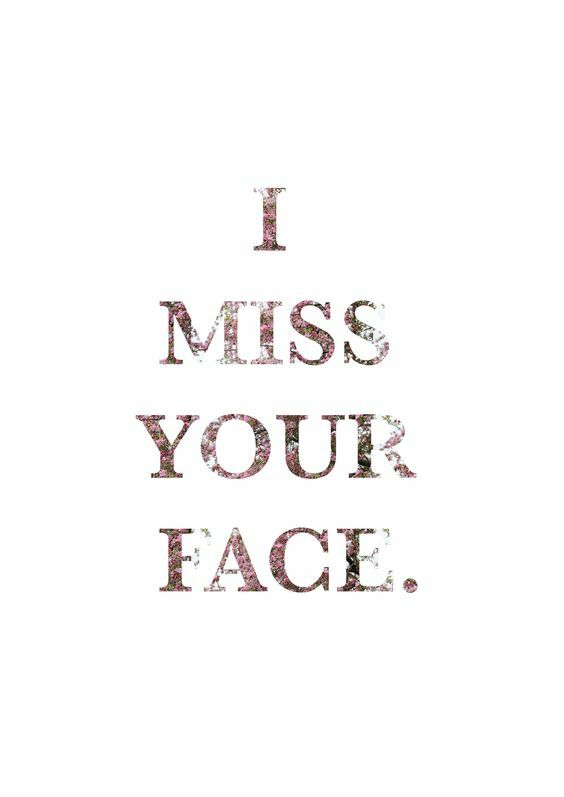 You just read our Girlterest list of I miss you quotes for friends!